Wild Wren Soap - 100g. Made in Australia. Designed in partnership with local artists. Enriched with natural essential oils. • Triple milled, with velvety shea butter. • Enhanced with rose geranium and sweet orange blossom essential oils. 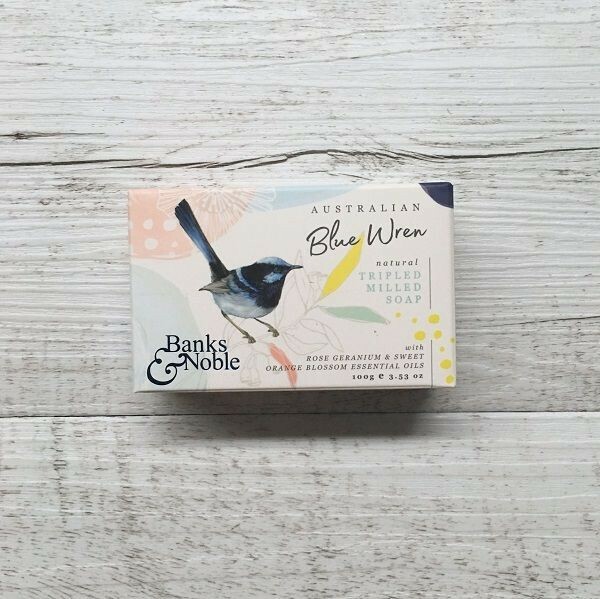 • Fun and colourful pastel packaging features the beautiful blue wren. • Free from animal testing. • The Linen Press is a carbon neutral business.